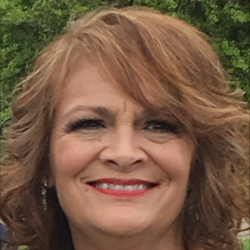 A current Assistant Professor of Nursing at Xavier University, Dr. Kelly Bohnhoff is being acknowledged by the American Health Council for 31 years within the healthcare industry, with 8 years in her present role. Possessing expertise in Forensic Nursing, Nursing Education, Interprofessional Collaborative Practice, Population Health, and Trauma Therapy, the AHC is appointing Dr. Bohnhoff among the numerous professionals who continue to revolutionize American healthcare. Dr. Bohnhoff graduated with her PhD in Psychological Foundations of Education: Community Health Nursing from the University of New Mexico-Albuquerque in 1997. She has spent 6 years as Adjunct Faculty at Xavier University, 2 years as an Assistant-Tenure Track and 6 years with clinical experience as a Marriage and Family Therapist, as well as a Nationally Certified Trauma Practitioner providing therapy through Lighthouse Youth and Family Services, where she works with severely traumatized children, adolescents, and families. Becoming involved in her current profession due to the influence of early childhood experiences, Dr. Bohnhoff’s daily responsibilities consist of balancing her time between teaching graduate students in the MSN-Forensic Nursing, Dual Degree-MSN and Criminal Justice (MSN/MSCJ), MSN Direct Entry as a Second Degree: Midas, and Doctor of Nursing Practice in Population of Health Leadership programs. Among her myriad of accomplishments, Dr. Bohnhoff is honored to be a co-founder of Josephine’s Clinic, a coalition of local professionals who volunteer their time and expertise in order to provide interprofessional, compassionate, holistic, trauma-informed, medical care and counseling services to victims of human trafficking and violence in the local community. She has been given the Wheeler Award from Xavier University in 2016. Dr. Bohnhoff attributes her immense success to her willingness to remain open-minded throughout her career. 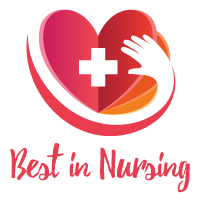 Dr. Bohnhoff is professionally associated with the International Association of Forensic Nurses (IAFN), the American Nurses Association (ANA), the American Association of Marriage and Family Therapists (AAMFT), and the National League for Nursing (NLN). Her charitable organizations include Josephine’s Clinic, Women of Alabaster, Tamar’s Place: Franciscan Ministries, Inc., and the RIGHTS Task Force, among others. Concerning the future, Dr. Bohnhoff’s goals within the next 5 years include becoming tenured as a professor at Xavier and leveraging her training, education, and professional experience in interprofessional collaborative practice, forensic nursing, and population health, continuing to provide for children and adults exposed to trauma and human trafficking. In her spare time, Dr. Bohnhoff enjoys reading and watching movies. Founded in 1831, Xavier University is a Jesuit Catholic university in Cincinnati, Ohio. Its three colleges offer more than 90 undergraduate majors, 55 minors and 19 graduate programs to 7,000 total students. The University is the sixth-oldest Catholic university in the nation and one of the 28 Jesuit colleges and universities nationwide.